Dirt Mechanics LLC, a Recreational Excavation company, specializing in trail building and design. Moto area kiosk fence and shelter. Moto area with fence to keep the big boys off the kids track. Layout and grade for rock retainer ramps and circle. 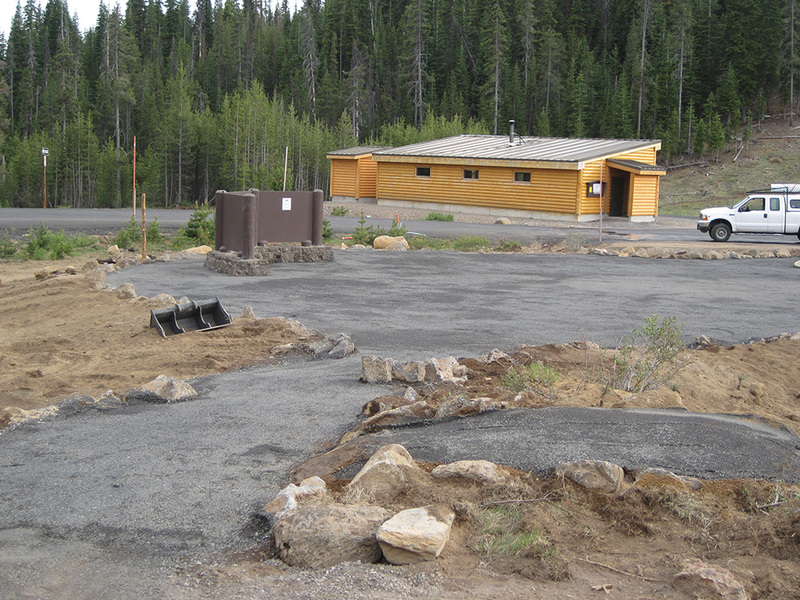 Trail head kiosk and circle. And then it snowed. Fortunately the rocks were already in place. Built to Forest service specs for Central Oregon Trail Alliance. 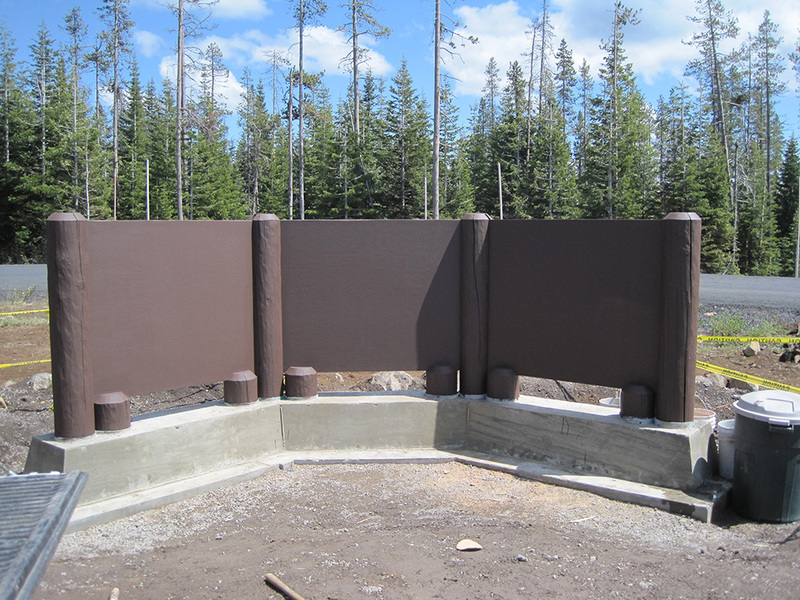 Foundations for kisok posts with metal tubes inset and rebar. The finished product from the other side. Mai Mai (Duck shooting shelter) at the entrance to the clay target range.